Scholars and religious leaders explore the impact of Husayn and the devotion of the 15-20 million pilgrims who visit his shrine each year. Part 1 of 2. This is a rebroadcast of an episode that originally aired in May 2018. I will be attending the pilgrimage to Arbaeen from Najaf to Karbala, Iraq, at the end of October, with a Maulana Mohammad Baig, courtesy of the Husayniah Islamic Society of Seattle. 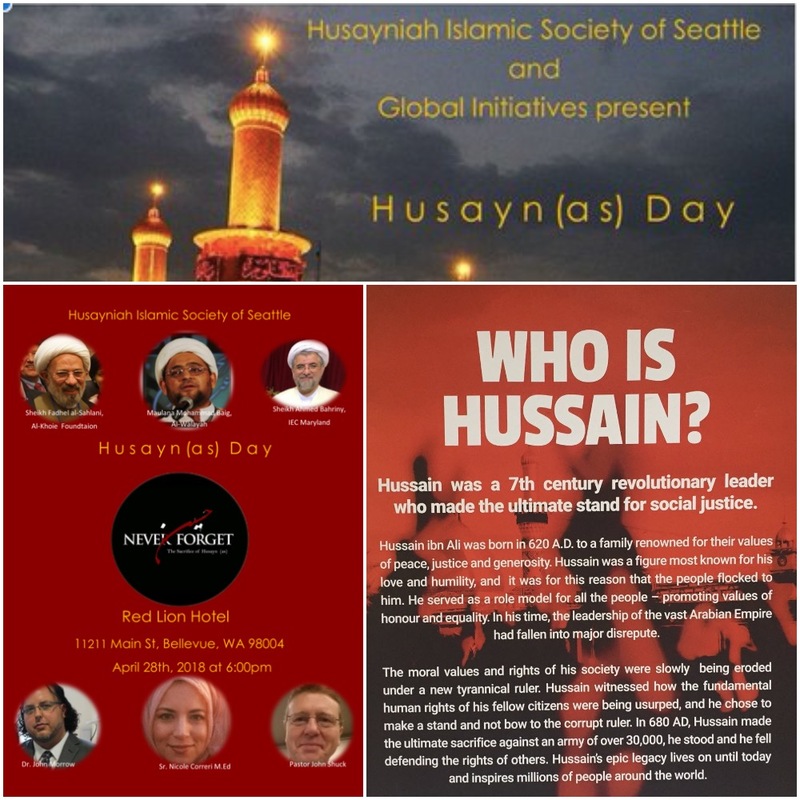 On April 28th 2018, The Husayniah Islamic Society of Seattle and Global Initiatives co-sponsored an interfaith educational event called Husayn Day. The event was a reflection upon Husayn, the martyred grandson of the Prophet Mohammad. Rather than bow to his oppressors, he, along with 72 family members were killed in Karbala, Iraq in 680 CE. He is considered a martyr for justice, truth, love, and resistance. He is a leading figure in Shia Islam and his death is mourned each year by between 15 and 20 million pilgrims who visit his shrine during the forty-day period of mourning from Ashura to Arbaeen. In the next two episodes, you will hear speeches from the presenters on Husayn and the yearly pilgrimage to his shrine. The presenters include, Dr. John Morrow, Sister Nicole Correri, Sheikh Fadhel Al-Salani, Sheik Ahmed Bahriny, Maulana Mohammad Baig, and me, John Shuck. Why you have never heard of it probably has to do with the fact that the press is concerned more with negative, gory, and sensationalized tabloids, than with positive, inspiring narratives, particularly when it comes to Islam. You will hear about it on Progressive Spirit. In this first episode you will hear from Dr. John Morrow, full professor, author, senior research scholar, public speaker and activist. He is author of a number of numerous articles and books including The Covenants of the Prophet Muhammad with the Christians of the World. Dr. Morrow provided a stirring poetic spiritual biography of Husayn. You will also hear from Sister Nicole Correri. She is the preeminent female Shia speaker in North America. She will begin a Ph. D. program at Boston University in the Fall. 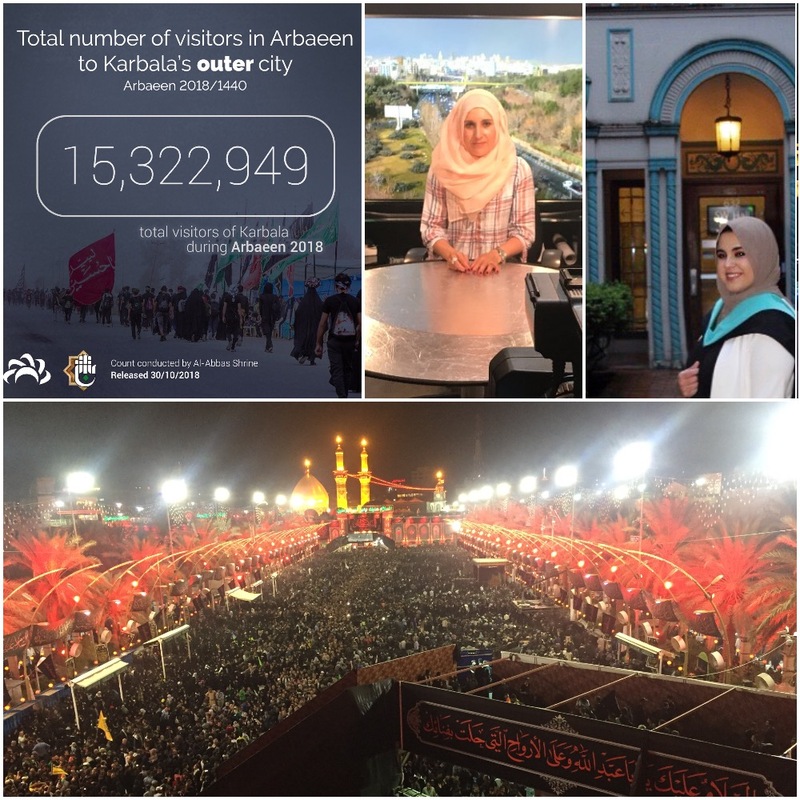 Sr. Correri told the importance of Zainab, Husayn’s sister, and described her experience attending Arbaeen. Video of the entire conference.